Located in a historical city part dated in 12th century, three minutes from the main city square still in very quiet spot right by a lovely river. Klika's family has been operating this romantic place for decades with customer oriented approach satisfying various guest wishes. 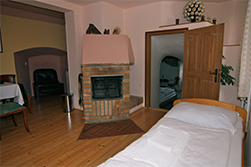 Our hotel offers wide range of rooms and comfort starting with a basic efficiency single bedroom for 950 CZK (about 35 EUR / $48 per night) including rich breakfast with freshly baked pastry and bread. All rooms are with bathrooms, toilets, TVs and Wi-Fi Internet connection. Refer to Location and other information menu for more details. Pricelist Location How to find us? 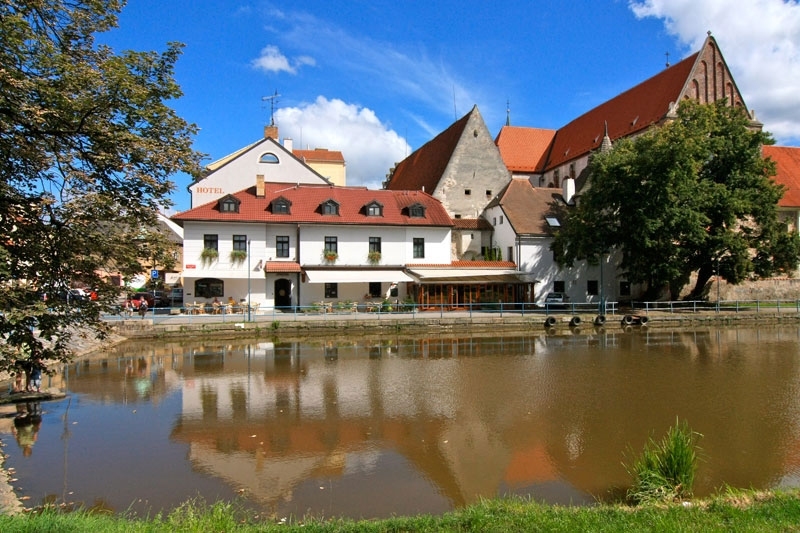 The hotel also features the restaurant, where there are the original walls from the 14th century and the town armory from 1531 and where you will find comfortable seating for 40 people and another 20 seats in a non-smoking area in the winter garden overlooking the river. In summer we open the garden directly on the waterfront of the river, where we also offer great barbecue. In a cozy family hotel you will also find facilities like private parking for your car, bike or motorbike and free wireless Internet access. If you are still hesitating, whether to stay with us, take a look at our photogallery. Check out our offer of hotel packages or what cultural events take place during your stay in our town. We believe that our hotel will meet all your requests. We will be delighted to welcome you here.